She said: “Walking onto stage at the Met I have to project to 4,500 people, all of whom I need to engage in the drama of an opera. The same thing applies to the Royal Albert Hall: last week the audience for my Barber of Seville at the Proms was over 6,000. Danielle is an excellent ambassador for classical music. She believes the genre should not just be an experience for the privileged and has taken on the mission to make it available to all. Born in Melbourne to Sri Lankan/Dutch parents, Danielle grew up in Los Angeles where she made her professional debut at the age of 15. At 18, she became the youngest ever singer to enter the Metropolitan Opera’s prestigious Lindemann Young Artist Development Program. At the age of 19, she made her Metropolitan Opera debut under James Levine, as Barbarina in Jonathan Miller’s acclaimed new production of Mozart Le nozze di Figaro. On the strength of her performance, Danielle went on to make major debuts at the Opéra National de Paris, Saito Kinen Festival and Netherlands Opera. In 2005 she made her Glyndebourne Festival debut as Cleopatra in David McVicar’s production of Handel Cleopatra and was catapulted to international fame. She has since reprised the role in the 2009 Glyndebourne revival, and in 2013 at the Metropolitan Opera, always to critical praise. Danielle, who is a passionate and active advocate for children’s rights, studied under Dame Kiri Te Kanawa who she said is “a wonderful teacher and a huge inspiration.” Danielle is also inspiring a whole new generation of young classical musicians. Danielle’s advice to young people seeking a career in classical music is to take up opportunities and challenges when they arise. She said: “It’s hugely difficult to achieve success. When you start out, the challenge is to get noticed, to do good work, and somehow to start building a name. But there are also breaks, and opportunities. The key is to be able to really grasp the moment when it comes and rise to the challenge. Danielle will be making a rare appearance in the Easterbrook Hall’s Duncan Rooms, Dumfries, on Saturday, 13 August, at 7.30pm, as part of the International Musicians Platform concert series. Accompanying her on stage will be internationally-acclaimed artists: tenor Nicky Spence and Simon Lepper on piano. The programme includes music by Gounod, Mozart, Tchaikovsky, Handel, Berlioz, Puccini, Lehar, Gershwin and Bernstein. 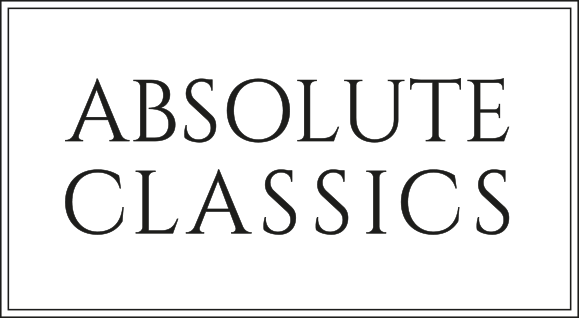 Tickets are £20 but, as part of Absolute Classic’s mission to make quality classical music available to all and attract young audiences, the concert is free to anyone aged 26 and under.